The summer of ‘63 was famous for the Great Train Robbery. Will the summer of 6-to-3 be known for the Great Trade Robbery? Time for Flames fans to start referring to Brad Treliving as 'Bandit Brad' if he can find a way to swipe 3rd overall pick from Columbus in the upcoming draft, in exchange for 6th overall, and make off with highly-touted Finnish right winger Jesse Puljujarvi. Rumblings out of Ohio would have you believe that after winning that prime spot in the draft lottery, the Blue Jackets are open to dropping down. That said, it would still be considered a major heist should the Flames general manager be able to pull it off as going 6-to-3 is the type of jump that almost never happens. In fact, it would be about as rare as a gang of unarmed thieves stealing £2.6 million (equivalent of $71 million USD today) from a train in the middle of the night as famously took place on August 8, 1963 in Buckinghamshire, England. Now don't get me wrong, trading up in the first round of the draft takes place all the time. In the last 10 years, there have been 30 such trades where two teams swapped picks with one team either moving higher in the first round or moving into the first round. The team trading down receiving an extra second and/or third round pick in the deal. The caveat is in almost all of those swaps, it's picks later in the first round -- usually much later -- that end up in play, not top-10 picks and especially not picks in the top five. Only twice going back to 2005 have two teams -- both in the top 10 -- flip-flopped draft positions in this fashion and both involved Isles GM Garth Snow. They actually happened the same year and just minutes apart. In 2008, Toronto made a deal with New York to move from 7th to 5th to grab Luke Schenn. In that swap, the Islanders also got a second and third round pick from the Leafs. 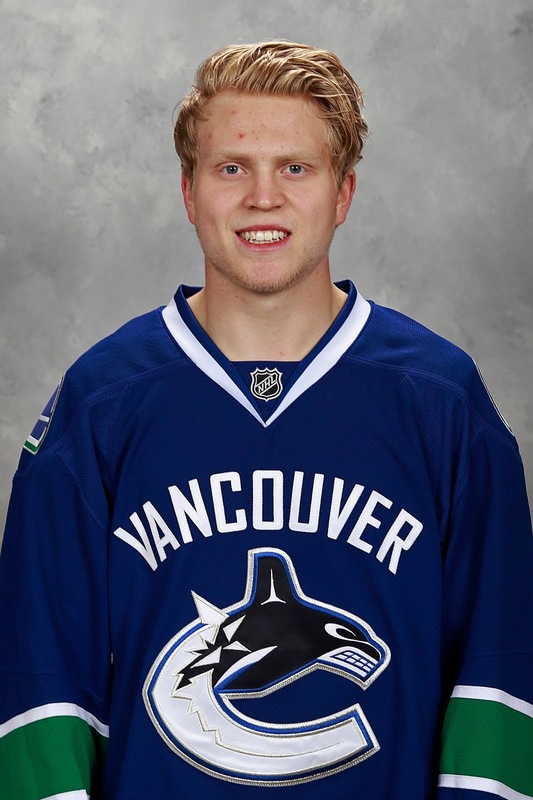 Shortly after, Nashville came knocking and arranged to jump from 9th to 7th to select Colin Wilson. In the deal, New York received a second round pick from the Predators. The Islanders eventually ended up taking Josh Bailey at No. 9 while none of the other three picks panned out. Over that span, the next closest was in 2007 when San Jose traded up with St. Louis to get into the top 10, jumping from 13th to 9th. Sharks GM Doug Wilson also gave up a second and third rounder in that deal but it worked out nicely as San Jose drafted Logan Couture. The Blues took Lars Eller at No. 13 and in a similar outcome to above, the other two picks did not work out. As for moving into the top four as Calgary would be seeking to do, the last instance of that happening was a dozen years ago. The last time in this type of scenario a team traded out of the top four was in 2004 and coincidentally enough, it was Columbus. It would also turn out to be a regrettable decision for then GM Doug MacLean. In a trade that is not at all indicative of what the cost would be today, Carolina GM Jim Rutherford fired up the hometown crowd (draft that year was in Raleigh, North Carolina) by making a deal with the Blue Jackets to flip-flop picks No. 8 and No. 4. Astonishingly, jumping up four spots and that high in the first round only cost the Hurricanes the 59th pick. These days, that absurdly low price of a late second rounder is the typical cost to go from something like 32nd to 29th. So don't get too excited, it will take a lot more than that to get the Flames to where they want to go. As the story goes, the Hurricanes used that 4th pick to choose Andrew Ladd from the Calgary Hitmen while the Blue Jackets settled for Alexandre Picard at No. 8. To be clear, Picard is not a defenceman either. He and Ladd are both left wings. Picard was a 40-goal scorer in the QMJHL that did not score once in the NHL despite playing parts of five seasons in the league. He's played in Switzerland the past four seasons. Meanwhile, Ladd has been an NHL captain, he's won two Stanley Cups and he will be one of the most sought after UFAs on the open market this summer. Now that was a great trade robbery. While the Blue Jackets have had a couple GMs since -- Scott Howson was at the helm for six seasons until 2013 -- and it's now Jarmo Kekalainen, you can bet that draft day robbery from long ago remains a sore point for the organization. As unlikely as it would be for the Flames to be able to pull off such a deal, the reason I broach the possibility is some hinting earlier this week from Sportsnet Analyst Elliotte Friedman in his weekly 30 Thoughts column that Columbus could be open to the idea of trading down. "The conventional wisdom is the Blue Jackets will go with Jesse Puljujarvi there, as Toronto and Winnipeg are expected to take Auston Matthews and Patrik Laine one-two. Columbus needs centres as much as anything. If the Jackets believe Puljujarvi can play there long-term, it’s a no-brainer. If not, could they trade down a couple spots, add an asset and still get, say, Logan Brown? Might be something to consider." While Puljujarvi has apparently played some centre, most project him as a right winger. Similar story for Pierre Luc-Dubois., who most rank 4th or 5th. Potentially he could become a centre but he's viewed for now as a left winger. After Auston Matthews at No. 1, the next natural centre doesn't come along until you get beyond the top six on most lists and get into players like Logan Brown and Tyson Jost. With Columbus mostly in need of a top young centre to fill the void left by the departure of Ryan Johansen, who was traded to Nashville for Seth Jones last season, perhaps the play for Columbus would be to pick up one or more assets in a trade and drop down a few picks and still be able to draft that next best centre. Where this gets interesting for the Flames is top line right wing is a pressing positional need for Calgary and you know they would love the opportunity to head the opposite direction and move up and select Puljujarvi. Make no mistake, the Blue Jackets know the stud of a player they're in line to draft with 3rd pick and they are likely just posturing, in case someone comes along and pays an insane ransom to get that pick from them. Going from 6th to 3rd in some draft years would not be as significant as that jump is this year given everyone in the hockey world is in agreement that in this draft, there is a sizable drop-off beyond the top three. So, what would the cost be? It's not like going from 36 to 33, or 26 to 23 or 16 to 13. There's always a sharp curve in a draft once you get beyond the few can't-miss guys anyway. Going 6 to 3 this year could be even more expensive. Plus, the Blue Jackets have all the leverage. There are also a few teams Columbus could be pitting against each other should it come to a bidding war. Dropping to 5th (Vancouver), 7th (Arizona), 8th (Buffalo) or even 9th (Montreal) could also still get them that young centre they covet while adding some other high-end assets. One thing history has taught us is that quantity cannot buy you quality. There needs to be quality in that quantity. 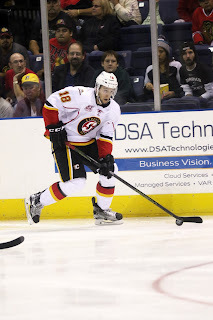 To that point, I am not even sure the Flames have the right blend of assets to make such a deal but I did come up with a few scenarios to mull over. Some fans will feel this is a lot for the club to surrender to move up only three places but is it really? Keep in mind that while all prospects could be great, so often they don't live up to the hype. I'd say Calgary is more interested in making this deal than Columbus. If I'm the Blue Jackets, I doubt I pull the trigger. For Kekalainen, there's no assurance that (a) or (b) will pan out and if not, Columbus is left with a lower tier NHLer as the net gain in passing up on what appears to be an elite winger in Puljujarvi. 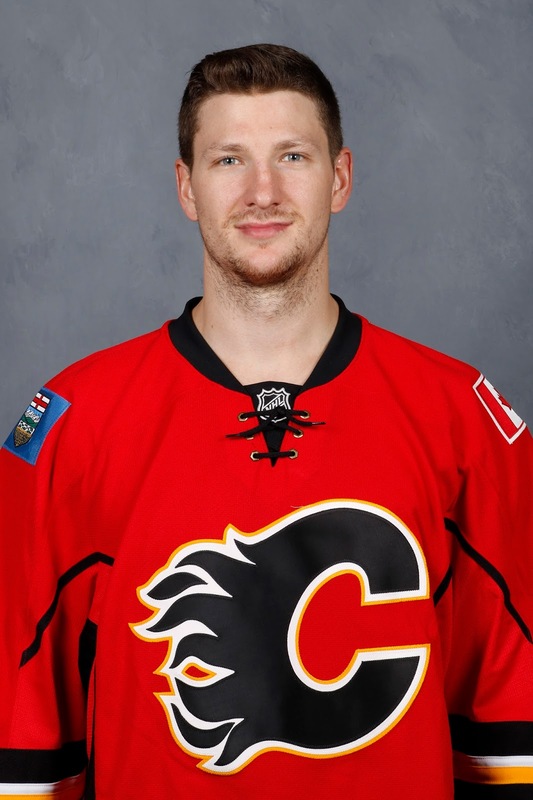 While it would be hard for the team to part with Backlund, who was such an instrumental part of the team last year, you have to give up something to get something. Backlund will be a UFA in two years. There's a good chance the team won't be able to afford him then anyway so this just means moving on a couple years sooner in order to address a huge organizational need. 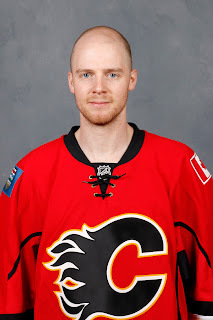 As a centre, he's probably a little bit older than what Columbus has in mind but he improves their club instantly and with less of a crowd up the middle, perhaps Backlund could be a long term solution there. The real ballsy move to make would be to trade one of the young-stars-in-the-making from a position of depth for hopefully a star-of-the-future at a position of need. This is a much different scenario. 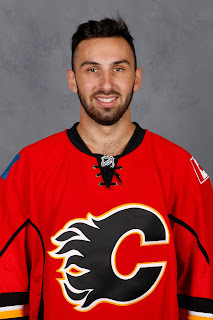 Now I'm no longer talking about swapping 3rd and 6th pick, but instead this would be the Flames adding the 3rd pick while still keeping the 6th pick. However, it seems extremely unlikely either side would want to make this deal. If you're Columbus and you're feeling greedy, you're still dealing a 3rd overall for what was a 4th or a 6th. Calgary might need to add in a sweetener like a prospect or a pick. The giant payday Monahan is on the cusp of could also be a showstopper for the Blue Jackets. For the Flames, they know what they have in these two players, they've been moulding them for years and they're happy to have them. Giving up an established young star like Monahan, or Bennett, to draft a player that you hope will be equally good or better would take some guts. I can't see it happening but to acquire that pick without doing a swap, that would be the price tag. While this makes for stirring debate in the pub over a plate of salt and pepper ribs and a couple pints of the house draught, my advice is don't get your hopes up. While the possibility does exist that 'Bandit Brad' can pull off an Ocean's Eleven-calibre of theft that nobody saw coming, history is not on his side. Depending on how much the Blue Jackets' asking price is, what you don't want to do is end up the victim in the Great Trade Robbery of the summer of 6-to-3. 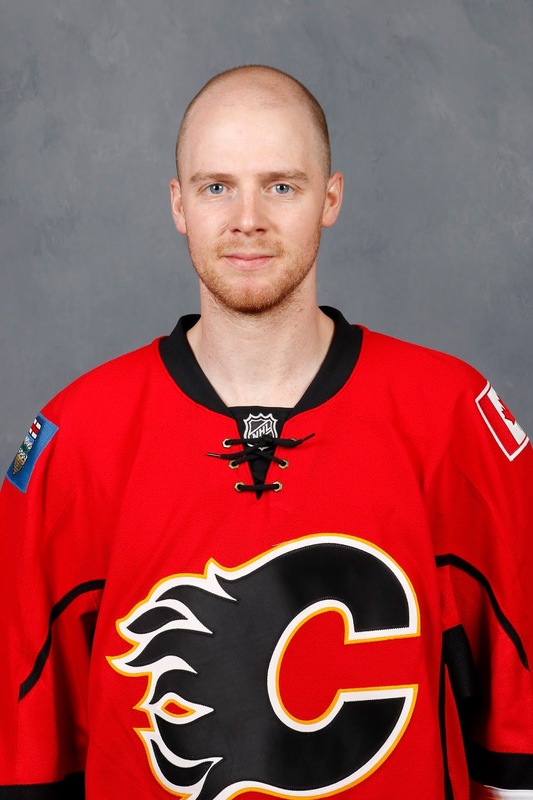 Backlund's presence alone will give some people the shakes, never mind the thought of parting with Monahan or Bennett. Sure, Puljujarvi at 6-foot-4 with tons of skill, looks like he will be one helluva player but if to get him, it involves giving up someone already a helluva player and a core piece of the Flames future, you're taking a big risk. Personally, I don't think Treliving is the kind to gamble like that but then again, nobody suspected what would shake down on the train tracks that quiet night in England 53 years ago either. Then suddenly all the money was gone, and most of it never to be found again. So, you never know. Why settle for one or the other when you can have both. Up until now, debate swirling around Calgary's head coach vacancy has been around whether Flames general manager Brad Treliving would opt for someone that has been around for a long time and has decades of coaching experience, or go with someone relatively new that has little or no head coach experience at the NHL level. Well, perhaps he won't have to choose one or the other. One of the newer names to be bandied about lately came up again on Monday on Calgary's Sportsnet960 radio via Sportsnet Analyst Elliotte Friedman and intriguingly, he's someone that is a combination of both. Friedman says you can probably add Geoff Ward to the list of #Flames coaching candidates. Longtime #NHL assistant. Geoff Ward, a 54-year-old former phys ed teacher, is currently at the IIHF World Championships as an assistant coach with Germany, who are third in Group B -- behind Canada and Finland, but ahead of the Americans. While he says he doesn't speak German, Ward has a long history with hockey in that country having spent three separate seasons over there in the past. His latest stint overseas came just two years ago. Coaching hockey for over half of his life, Ward described himself as a "career coach" when he was hired last June to be an assistant coach under newly-hired John Hynes in New Jersey. It was his return to the NHL after a year in Germany. Prior to that, he spent seven seasons as assistant coach to Claude Julien in Boston during which the Bruins made the playoffs every year. That included winning the Stanley Cup in 2011 and reaching the Cup final in 2013, losing to Chicago. With multiple years remaining on his contract but seeking a fresh challenge, Ward resigned and headed overseas in the summer of 2014, accepting a job as head coach of the Mannheim Eagles in the German hockey league. His one year was a rewarding one as he led his team to its first league championship in eight years. 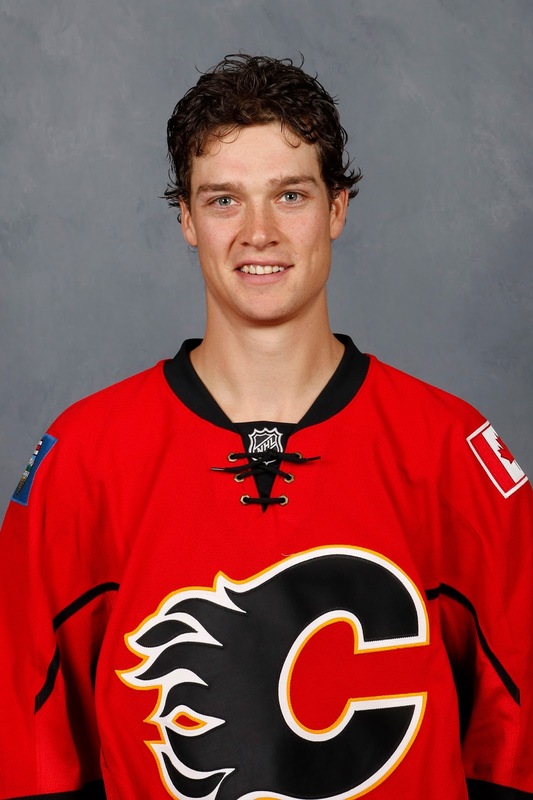 Content to stay in Germany, Ward was wooed back to North America by Hynes and Devils GM Ray Shero. Upon his return, he told Devils beat writer Rich Chere of New Jersey Advanced Media that his experience in Germany was awesome. "Extremely positive experience for me all the way around," he said. "The organization is run like an NHL team, the building seats 13,400 and it was sold out most nights. The ownership was outstanding and gave us all the resources we needed. Management was great. I have nothing but good things to say about my experience there. It was really fun. It ended up being an excellent thing for me." Three trips to league finals in a span of six years, winning twice. That would definitely tick one of the boxes for Treliving, who last week told Michael Traikos of PostMedia that quality of experience was his priority in his coach search, not necessarily quantity of experience. “To me it’s not as much about where you’ve coached, but what you’ve built and what your piece was in growing it,” said Treliving. “It’s being involved in winning programs." But if you have the option for both quality and quantity, you can bet that would be especially attractive. Boston Globe Bruins beat writer Fluto Shinzawa talked to Julien about Ward's return to the NHL last September prior to a preseason meeting between New Jersey and Boston. In a Q&A last summer with popular Devils website Fire & Ice, you can glean further insight into Ward's character, his philosophy, and what motivates him. “That was my decision. I still had a couple years left on my contract in Boston and I just really felt I'm a career coach – I've been in it now 27 years or something like that – so I really felt I just needed a change, something new to sharpen the saw so to speak." “I'm a relationships guy and I think they are (too) and I was drawn to what they represent as people and how the situation will work more than per se how the structure of the hockey team is going to be. I know John comes from a teaching background and I'm an old phys ed teacher, so there's a lot of exciting things that way and it leads to similar philosophies, similar beliefs, but the part I enjoy the most about coaching is building something." "I'm a big fan of Claude's and he's done a lot for me in the game." With New Jersey, Ward's responsibilities included the power play and the forward group. On the man advantage, the Devils finished ninth in the NHL. That's a pretty decent accomplishment on a team in which Kyle Palmieri, who had never before scored more than 14 goals, was the team's leading scorer with 57 points (30 goals, 27 assists). Also having a career season was Adam Henrique (30-20-50) and before being dealt at the trade deadline to Boston, veteran Lee Stempniak had 16 goals, the most he's scored in five years. Ward was also in charge of the PP with the Bruins. In his final year in Boston, it ranked third. His stint in Mannheim was not his first experience in Germany. Bookending his time in Boston, he spent the 2006-07 season in the Deutsche Eishockey Liga (DEL) as head coach of the Iserlohn Roosters. He also spent 2000-01 in Germany as head coach of a second division team. 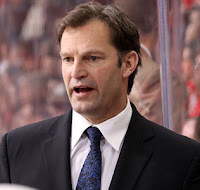 It was after that first season abroad that he connected with Julien, who at the time was head coach for the Montreal Canadiens' AHL affiliate in Hamilton. Ward worked under Julien for a year-and-a-half before taking over as head coach in January 2003 after Julien was promoted to head coach of the Canadiens after the firing of Michel Therrien. Under Ward's direction, the Bulldogs advanced all the way to the Calder Cup final that season. Ward was named co-AHL coach of the year (with Julien) for his efforts. His next two seasons before heading to Germany were spent as head coach of the Edmonton Oilers AHL affiliate. Prior to switching career paths to the pro game, which began with one season in the ECHL in 1999-2000, Ward spent his time coaching in Ontario. 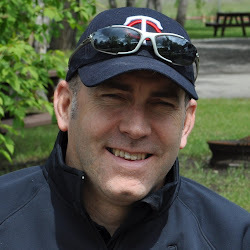 In 1989 at age 27, he started out in his hometown, serving as assistant coach at the University of Waterloo. He spent three seasons there before jumping to the OHL as an assistant coach for Niagara Falls. One of his team's players that year in Niagara was 16-year-old Ethan Moreau, who would go on to be a first round pick and spend a portion of his 900-plus games in the NHL as captain of the Edmonton Oilers. Ward returned to Waterloo the next year as head coach of the city's Junior B team and in his one season behind the bench, they went the distance to win the Sutherland Cup as Ontario's Junior B champions. In 1994, Ward returned to the OHL with Kitchener, taking over as head coach after two months when the coach was fired. He remained in that role the rest of that year and for three additional seasons. In years two and three, his team got progressively better, going two rounds deep in the playoffs both years. Oilers 1996 first round pick Boyd Devereaux was one of his players during those two seasons. He then spent one season as head coach of the Guelph Storm, leading them to a first place finish in their division. 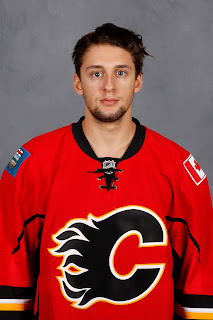 That team featured Craig Anderson in net, who would be selected by Calgary that ensuing summer in the third round of the NHL draft -- although he never signed with the Flames. We keep hearing that Treliving is not in a rush to name a new head coach and given his commitment as Team Canada co-GM for the World Championships and with him being over in Russia at the moment, the logistics have been far from ideal so far. 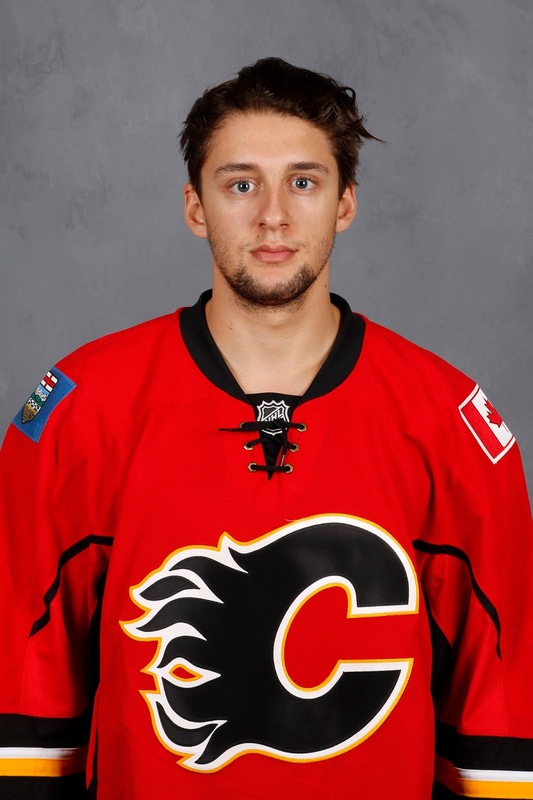 When he returns to Calgary next week, one can expect the process to kick into high gear. The one thing we know is if Ward is a legitimate candidate as reported, it's further proof that Treliving is committed to being extensive and thorough with his coach search and in thinking outside the box in terms of the types of candidates being considered. That's not a bad thing either. 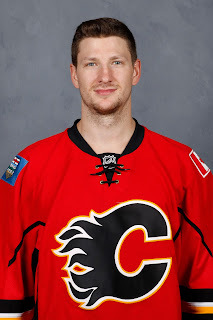 Also, given where the Flames are at and with such a key portion of the current roster being young players, a coach with a history of being a teacher as is the case with Ward, could be a pretty decent fit. Stay tuned as the coach candidate carousel continues to spin. Longtime coach has parted ways and the search is on for a replacement. Starting goaltender is a pending UFA and isn't being brought back so a new No. 1 is needed to upgrade goaltending that ranked near the bottom of the league. Despite that, they didn't miss the playoffs by much. Would have got in with four more wins. Fuelling the disappointment, missing the post-season comes after making it the previous season. The bright side is the 30-something team captain and backbone of the team -- an after-thought in his draft year -- just posted two of his best seasons. If you guessed the 2015-16 Flames, you're close but wrong. Remember that Calgary's goaltending wasn't ranked "near" the bottom of the league. It was right at the bottom. Dead last with one of the worst team save percentages the NHL has seen in the last six years. Oh, and the Flames finished 10 points out of a playoff spot, not eight, so needed five more wins, not four. The correct answer is the 2014-15 Sharks. Yet 12 months later, here they are in the Western Conference final, getting prepared to play the St. Louis Blues in game 1 on Sunday night. San Jose is seeking its long-awaited first trip to the Stanley Cup final since entering the league in 1991. After the team and Todd McClellan mutually agreed to go their separate ways on April 20, 2015, despite the coach having one year remaining on his contract, general manager Doug Wilson cast a wide net in search of a replacement. It was an exhaustive search that took 38 days but Wilson finally found his man in Peter DeBoer, who had previous coaching experience with the Florida Panthers and New Jersey Devils. He reportedly beat out the likes of Dan Bylsma, Randy Carlyle, Adam Oates and Dave Lowry. Next, they made some noise at the draft. First was the trading of Antti Niemi's rights to the Dallas Stars, confirming that the Sharks goaltender for the past five seasons would not be back. Three days later, Wilson addressed that void by trading for 25-year-old up-and-comer Martin Jones, who had been the back-up to Jonathan Quick in Los Angeles the past two seasons. That trade was swung with Boston, who as part of an elongated three-way deal, had acquired Jones from the Kings four days prior. With Jones a workhorse between the pipes making 65 starts and posting a .918 save percentage, and with DeBoer reinvigorating the team from his perch behind the bench, the Sharks went 46-30-6 for 98 points last season. The nine-point improvement from one year earlier was good enough to finish third in the Pacific, just five points back of the division-leading Anaheim Ducks. Wearing the 'C' and leading the way once again was 2005 seventh round pick Joe Pavelski, who had another terrific season with 38 goals and 78 points. Can the Flames Do the Same? Mired in a similar situation and armed with an identical shopping list, the question is can Calgary make the same turnaround in 2016-17? What we know is the coach search continues. Today is day 11 since the firing of Bob Hartley was announced. By all reports, general manager Brad Treliving is being thorough. Currently in Russia as part of Team Canada's management team at the IIHF World Championships, Treliving told PostMedia reporter Michael Traikos on Friday that he was in no immediate rush. 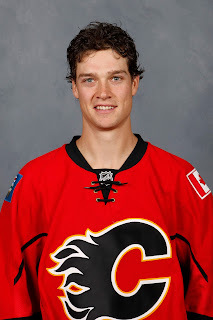 Reading between the lines, that could mean watch out for some of the fresher, younger options of which I tossed out several options in my list of second-chance candidates, guys that coached once before in the NHL and are looking for a second crack at it. As well, keep an eye on guys with successful resumes that haven't yet had an NHL gig like Travis Green (Utica, AHL), Sheldon Keefe (Toronto, AHL) or Dave Lowry (Victoria, WHL). In net and watching the impact goaltenders have had this post-season in stealing games, one wonders who will end up coming to town and being given the keys to the crease. You'd think it won't be somebody you're gambling on but someone that has shown that they can be the guy. Marc-Andre Fleury has to be an option worth looking into. 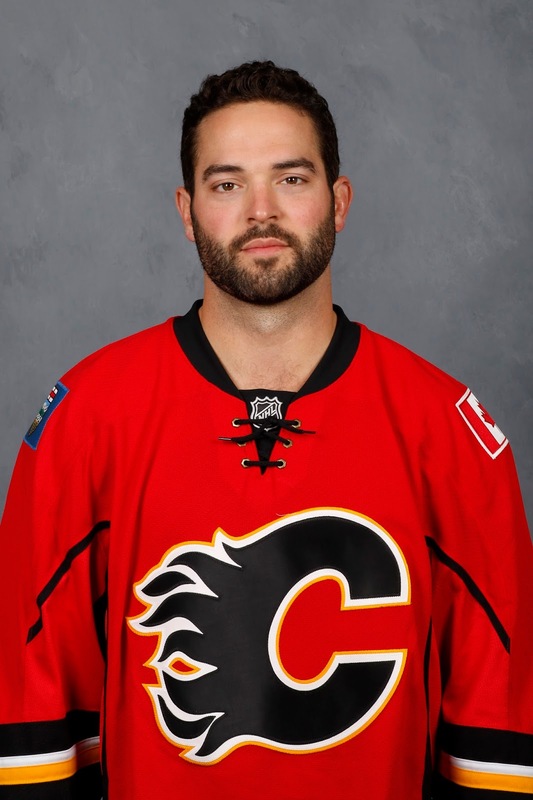 If you could somehow pry Brian Elliott out of St. Louis, what a nice pick-up that would be. Same goes for either Ben Bishop (pending the severity of Friday's injury) or Andrei Vasilevskiy out of Tampa Bay. Or like the Jones deal, involve a third team if you need to in order to maneuver Frederik Andersen away from the division-rival Ducks. With an upgrade in net and if the a coach can restore some decency to Calgary's special teams, a 10-15 point improvement shouldn't be an issue for a team whose core is still young and should be getting better every year. Plus, you have undrafted Mark Giordano as the dressing room leader. Coming off a 2014-15 season cut short by a brutal injury, the 32-year-old just posted a career-best season offensively with 21 goals and 56 points. Over the last 10 years, eight NHL general managers have found themselves in identical situations in the off-season to Wilson and Treliving -- coming off a season of not making the playoffs, and tasked with hiring a new head coach and bringing into the organization a starting goaltender. As for the other three times, two were last season and involved overcoming a monumental point-differential to the extent that the odds were never realistic. In both cases, the teams still improved significantly, but just not enough to make it into the post-season. - GM John Ferguson Jr.
What has been consistent is each and every time, the addition of a new coach and goalie resulted in an improvement that next season and in most cases significant. While there are clearly some similarities between the Sharks situation a year ago and the situation the Flames find themselves in this summer, I'll be the first to acknowledge there are obvious differences too. Missing the playoffs in 2014-15 was the first time in 12 years San Jose had not qualified for the dance. By comparison, making the playoffs in 2014-15 was the first time Calgary had made the playoffs in six seasons. The Sharks have the better team at this moment and certainly have the far more experienced team. While San Jose is led up front by 36-year-old Joe Thornton, the straw that stirs the drink offensively for the Flames is 22-year-old Johnny Gaudreau. Top-six winger Patrick Marleau is 36 while Michael Frolik is 27. Up the middle, Logan Couture is 27 while Sean Monahan is 21. On the blue-line, the ever-steady blueliner Marc-Edouard Vlasic is 29 while TJ Brodie is 25. Same in some ways, different in others, what Flames fans hope is next year's regular season performance will mirror what San Jose has been able to accomplish this year because if that's the case, that would mean a re-opening of the Red Mile next spring and maybe not just for a couple weeks but possibly for a month or more. We've seen it often enough, once you get into the playoffs, anything can happen. But key will be the next few months and the most important off-season in the managerial career of Treliving and whether he ultimately ends up filling these two high-profile job openings with the right candidates. And not just getting one of them right, but nailing both choices. So no pressure at all! Over to you, Mr. Treliving. Good luck. Whether it's assembling a barbeque, having a second child or learning to ride a segway, the second time you do anything in life, you're always much better at it. By then, you've learned what works. You've learned the hard way what not to do. You've accumulated real life experience that's irreplaceable. No amount of book smarts will ever fully prepare you for that first time. Same goes for being a head coach in the NHL. While there are exceptions, typically those first stints don't last very long. One year, two years, maybe partially into a third year, that seems to be the typical shelf life for an NHL rookie head coach. After they've moved on, or were moved on from as is usually the case, I'm sure the hindsight machine spins non-stop. What happens next is these folks move back into an NHL assistant coach role, or head to the minors in a head coach role, apply their learnings, then patiently wait for another crack at it, better prepared for that next time if another such opportunity does arise. With Bruce Boudreau crossed off the list of candidates, one wonders if the next guy in line for the Flames coaching job won't be someone of this ilk. Someone eagerly awaiting a second chance. A well thought-of coach that due to team performance or a new GM coming in and wanting to start fresh, saw his first cup of coffee as an NHL bench boss cut short. 1. Recycled - These are those older guys that have been around the block a few times. They are household names with multiple stops on their NHL head coaching resume. This was Boudreau. This was Marc Crawford, who was announced Monday as Guy Boucher's new assistant in Ottawa. This is Randy Carlyle, who brought a Stanley Cup to Anaheim. This is ex-Flames skipper Darryl Sutter, whose future in Los Angeles remains uncertain. 2. Second-Chance - These are the guys with less grey that fall in the middle. Coaches that have had one crack at being the head man, who as mentioned are looking for another chance so they can apply their learnings from the first go-round. 3. Rookies - The opposite extreme from the grizzled vets are these guys looking to be an NHL head coach for the first time. This includes guys ripening in the AHL and waiting to make the jump like Travis Green (Utica), Ryan Huska (Stockton) and Sheldon Keefe (Toronto). It also includes a college coach like Nate Leaman (Providence College) and major junior coaches like Dave Lowry (Victoria) or Benoit Groulx (Gatineau). It's the second-chance guys as I call them, which I am focusing on today. Given the young core of the Flames, the analytical slant the game is taking on, maybe a younger, fresher voice over some of the retreads is a preferred path for Flames GM Brad Treliving. Coming on the heels of Bob Hartley, the club is looking for someone that does things a little differently, not for more of the same. What you like about guys in this middle group is they've been there and they now know what it takes. They have the experience of knowing what they need to do differently the next time. Most have gone on to do further apprenticing under a seasoned head coach and are now anxious to get their own gig again. NHL Head Coach - Fired 16 games into 2013-14, his third season with Florida. Replacing Peter DeBoer, Dineen led the Panthers to a 38-26-18 record and their first division title in 2011-12. It was also their first playoff appearance since 2000. After missing the playoffs during the lockout-shortened 2012-13 season, a slow start the next year in which free agent goaltender pick-up Tim Thomas struggled and the under-talented team couldn't score, GM Dale Tallon dismissed Dineen just over a month into the season, along with assistant coaches Gord Murphy and Craig Ramsay. 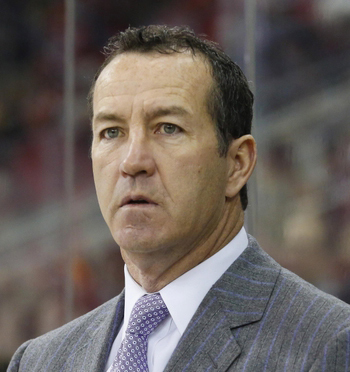 Dineen was offered a different role in the organization but declined. At the time, Tallon said Dineen worked hard but his message was not getting through to the players, who were underperforming. “After 16 games it was clear that our team needed a change in philosophy and direction,” said Tallon in the press release. “We have not met the expectations that we set forth at training camp." Less than a month after current Flames VP of Hockey Operations Brian Burke arrived in Anaheim as GM in June 2005, he hired Dineen to coach the Ducks AHL affiliate in Portland. Dineen led the Pirates (featuring Ladislav Smid, Curtis Glencross) to a 53-19-8 regular season record, which was a 34-point improvement over the previous year. They also had a long playoff run before losing in game 7 of the Eastern Conference final. Capping off his rookie season, Dineen was named AHL coach of the year. Dineen coached at Portland for five more seasons, the final three years they were the affiliate of the Buffalo Sabres. It was in the summer of 2011 that he was hired by Florida. Just over a month after he was let go by the Panthers, Dineen was hired by Team Canada to coach the women's national team, who went on to win gold at the 2014 Winter Olympics in Sochi, Russia. The next season, operating as an assistant under one of the very best in longtime Hartford Whalers teammate Joel Quenneville, he won a Stanley Cup with the Blackhawks. Replacing Paul Maurice a couple months into the 2011-12 season, the club went 25-20-12 under Muller's direction but were unable to make it all the way back into a playoff spot after that bad start. Carolina also missed the playoffs in each of the next two seasons. When Ron Francis was brought in as the Hurricanes new GM, he waited only a week before firing Muller and most of the coaching staff, saying the team needed a "fresh start". Hurting the team in Muller's final season behind the bench, Eric Staal and Alexander Semin both saw their production drop significantly and Cam Ward struggled in net with a .898 save percentage. Muller was described as a very positive, upbeat coach and solid communicator. Garnering the nickname of "Kirk is Work", he expects his team to work hard and play an aggressive forechecking style that is much like what his reputation was as a player. After interviewing for a few open NHL head coaching jobs in the summer of 2011 but failing to get hired -- most teams looking for someone with previous NHL head coaching experience -- Muller set out to try and get head coaching experience in the AHL. He contacted Nashville Predators GM David Poile and landed the job as coach for the AHL's Milwaukee Admirals. His time coaching in the minors only lasted a couple months before Maurice was fired by Jim Rutherford, GM at the time, who brought in Muller. After being dismissed by the Hurricanes, Muller was snapped up by St. Louis just eight days later where he joined Ken Hitchcock, one of his former coaches while he was a player. Gulatzan was hired in June 2011 by GM Joe Nieuwendyk. He replaced the fired Marc Crawford. Interestingly, one of the people interviewed that he beat out for the job was Muller. Gulutzan was a known commodity to Dallas as he had spent the previous two seasons coaching the Stars AHL affiliate in Texas. At the time, Nieuwendyk said, "He just gets it. He understands players. He understands how to mesh players and how to get the most from their ability... We were highly impressed with the structure and the style of play." 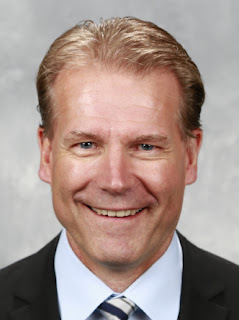 After missing the playoffs both years behind the Stars bench, he was fired two weeks after Jim Nill took over as Stars GM for a dismissed Nieuwendyk. Also let go was Gulutzan's assistant coach Paul Jerrard. "They are both quality coaches and men, but we have decided to go in a different direction," said Nill in the press release. He would go on to hire veteran Lindy Ruff. In that second season with the team struggling, Nieuwendyk traded Jaromir Jagr, Derek Roy and Branden Morrow at the trade deadline. With the younger roster, the re-invigorated team played some of its best hockey of the season but weren't able to make it all the way back and ended up missing the playoffs by seven points. In 2003, he was named GM and head coach of the Las Vegas Wranglers of the ECHL. As is typical of teams in the lower minors like that, he did a little bit of everything and worked some awfully long hours. 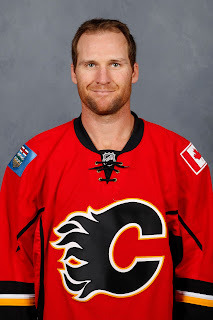 Eventually while he was in charge, the Wranglers became an affiliate of the Calgary Flames. In the coach profile video below, Gulutzan said that stint in Las Vegas taught him a lot and opened up connections in the NHL. In 2009-10, Gulutzan took over the Stars AHL affiliate in Texas, leading the team to the Calder Cup final in his first season. He got the team back to the playoffs again the next season. 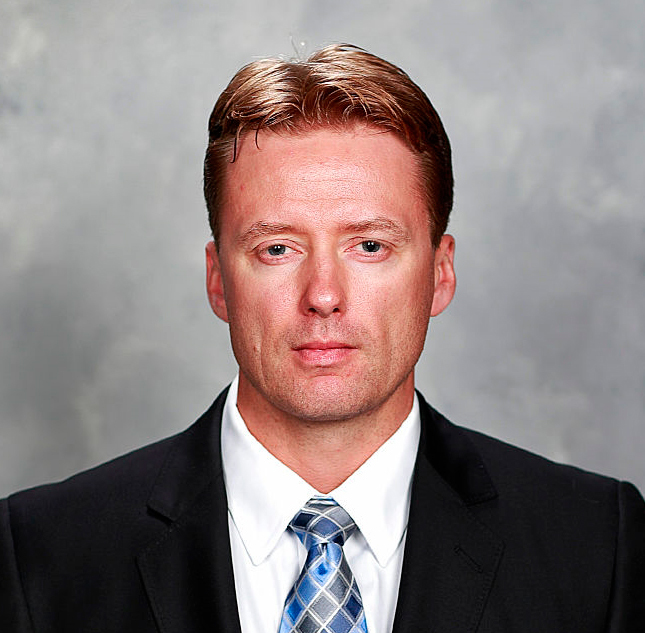 Less than three weeks after his stint as the head man with Dallas ended, Gulutzan was hired by Vancouver as an assistant to John Tortorella. When Tortorella was let go, the club liked what they had in Gulutzan, who was retained to work under new coach Willie Desjardins. It was an interesting plot twist considering Desjardins had previously worked as associate coach for one season in Dallas while Gulutzan was the Stars head coach. 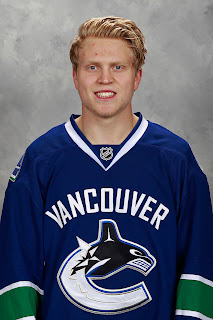 Responsible for the Canucks penalty killing, Vancouver has ranked 9th, 2nd and 17th in his three seasons. He was also was touted as the possible interim coach when Desjardins looked to be on shaky ground in February. John Stevens, 50 - Took over in Philadelphia for Ken Hitchcock eight games into 2006-07. Flyers made the playoffs in his first two full seasons, losing to Pittsburgh in the first round both times. He was fired 25 games into 2009-10, replaced by Peter Laviolette. He joined the Kings as an assistant coach in the summer of 2010 and has been there ever since in the same role, other than a brief four-game stint as interim head coach between the exit of Terry Murray and entrance of Darryl Sutter. Mike Yeo, 42 - After a successful first year at the helm of Minnesota's AHL team in Houston, reaching the Calder Cup final, Yeo was promoted to the NHL and became the league's youngest coach. His first crack at NHL head coach lasted much longer than most and included modest success. Three out of four seasons Minnesota made the playoffs, each time being eliminated by the Chicago Blackhawks. Yeo was fired 55 games into this past season, his fifth year behind the Wild bench. He's currently an assistant coach under Bill Peters with Canada at the IIHF World Championships, a team in which Treliving is the co-GM. Paul MacLean, 58 - Fired 27 games into 2014-15, his fourth season with Ottawa. In his first two seasons after replacing Cory Clouston, he got the Senators into the playoffs, reaching the second round in 2012-13. He spent the past season as an assistant coach with the Anaheim Ducks under Bruce Boudreau. The Ducks had the league's best power play and penalty kill last season. Todd Nelson, 46 - Coached Edmonton for the final 51 games of 2014-15 after taking over for the fired Dallas Eakins. Was not retained when the Oilers hired Todd McLellan. Prior to his stint in Edmonton, spent four seasons with the Oilers AHL affiliate in Oklahoma City. Nelson coached Grand Rapids (AHL) last season. Nelson has been a very successful coach in the minors. Brad Shaw, 52 - Hired as an assistant coach with the New York Islanders under Steve Stirling in 2005-06, he took over as head coach after Stirling was fired. He went 18-18-4 and was dismissed at the end of the season. He was hired that same summer of 2006 as a Blues assistant coach and he's still there today. He was elevated to associate coach in June 2012. Scott Arniel, 53 - Fired 41 games into 2011-12, his second season as head coach with Columbus. After spending the next year as coach of the AHL's Chicago Wolves, he has spent the last three years as associate coach with the New York Rangers under Alain Vigneault. It would not be a surprise if most of these guys eventually get another shot in the NHL. It's just a matter of when. For Stevens and MacLean, it could be this upcoming season in Los Angeles and Anaheim. They're all coaches in and around a similar age range that carry some appeal given their overall track record. I wouldn't view any of them as colossal failures in their first shot at the NHL either. Some were more just victims of a new GM being hired and wanting to bring in his own coach as is so often the case. Given the volume of candidates out there, I don't see a need for the Flames to rush this important hire. 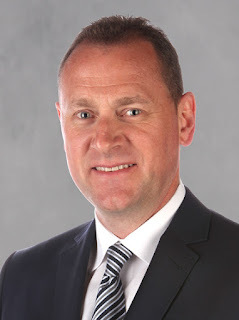 With the Ducks vacancy the only one remaining at the moment, Treliving has the luxury of taking his time and interviewing as many possible candidates as he feels might be the right fit. When he fired Hartley, he didn't elaborate on what he was exactly looking for in a head coach but did say he had a profile in his mind. He also said he'll know he's found the right match when he finds it. With potential candidates operating as assistant coaches on teams still alive in the Stanley Cup playoffs, waiting for those teams to be eliminated could result in a delay to the process and that's fine. Given Treliving's involvement with Canada at the World Championships at the moment, that also adds a logistical hurdle. I'd fully expect the coach to be in place by the draft but depending on how things go, maybe it's not until mid-June before an announcement comes. We'll see. Bottom line is this is Treliving's first coaching hiring and it's an important one. It's a move he needs to get right so I don't seem him rushing it, unless as mentioned, the right candidate comes along and he sees no reason to interview any others. Hire a coach, find a goaltender or two, re-sign his two star players. The Flames GM has quite a few projects on the go this summer. Hopefully he also doesn't have to assemble a barbeque because all joking aside, that's a weekend killer.